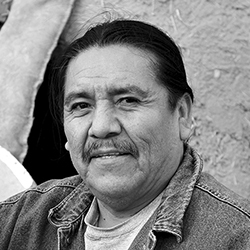 Joseph Brophy Toledo (Jemez Pueblo) has served the Pueblo of Jemez in various capacities for over four decades. He works with Indigenous youth groups, is an adjunct instructor for the Institute of American Indian Arts (IAIA), and worked as a creative consultant for Robert Mirabal Productions. Brophy has served on the Native American Global Sports Committee and been instrumental in international indigenous projects. His art includes pottery, painting, corn husk art, models of traditional structures, and the creation of traditional tools, weapons, and instruments. Sitting at the top of Flower Hill, a sacred mountain for his people, Brophy shared with Roger Fragua (Jemez Pueblo) how he was tired of talking about needs in the community. It was time to take action. They launched the Flower Hill Institute in 2016, a nonprofit which helps expand Brophy’s capacity to share art and language with his community. Through Flower Hill and his 2018 First Peoples Fund Cultural Capital fellowship, Brophy is leading a youth art project to paint the water tower overlooking the Pueblo of Jemez. They are telling the story of their community. “We don’t just do art; we talk through art,” he says. They reached out to elders to hear their stories and opinions, and Brophy shepherded the students in designing images. 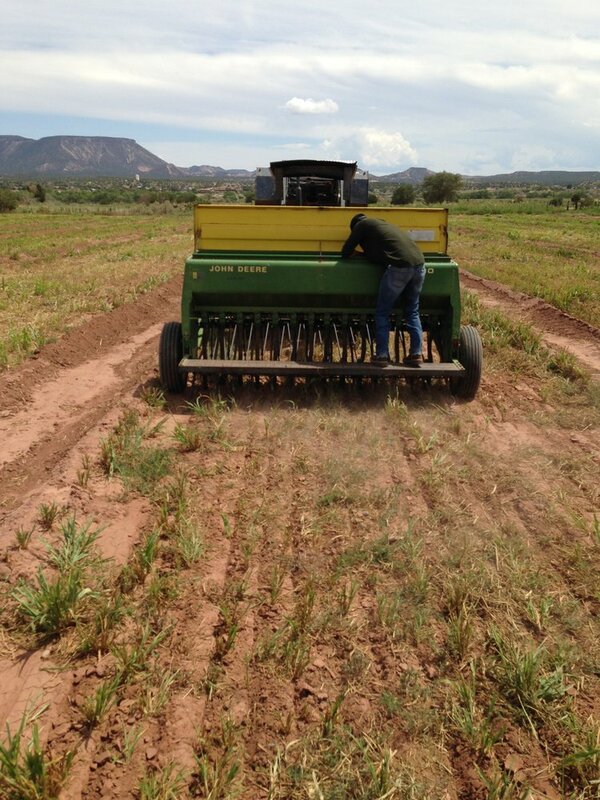 Living in an agriculture community, it is critical for youth to understand how the ecosystem functions, from fish in the streams to bird migration routes. Drawing from his many artistic mediums, Brophy worked with the youth to create corn husk dragonflies and also perform what he calls the pollinator dance with butterfly wings. During the culture and science youth camp in July, Brophy took students out on the Rio Grande River in canoes and kayaks to measure water levels, check for contaminants, and sample for macroinvertebrate as they learned the vitalness of understanding the water in their community. Working through the interconnected Flower Hill Institute, Brophy sees the youth art project on the water tower as becoming a source of pride for everyone. Flower Hill, their sacred mountain, is bringing Brophy’s people back.